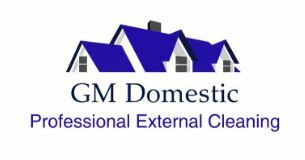 G M Domestic - Cleaning Services, Fascia/Soffits/Guttering based in Bradford-on-Avon, Wiltshire. GM Domestic has been in existence since 1992 as a professional exterior cleaning company. Specialising in Cleaning Gutters, Fascia's and Soffits, Window Frames and PVC Cladding, Conservatories and Pressure Washing. All of my work is fully guaranteed and I have Public Liability Insurance to £2,000,000. I have been operating in Wiltshire and surrounding area since 2005 and have Hundreds of satisfied customers in the region.